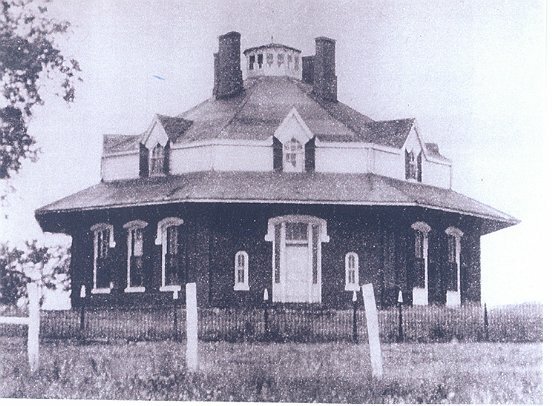 The Octagon was built by George W. Gregg in 1855 and was finished in 1856. 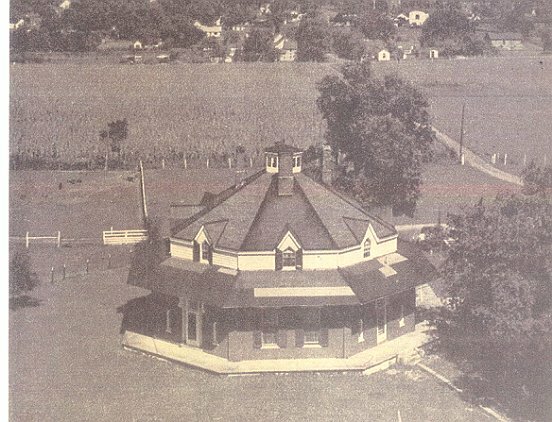 Gregg’s house was inspired by the first court house in Pickaway County, which was demolished in the 1840’s when the circular formation that Circleville, the county seat, was first built in, was squared. 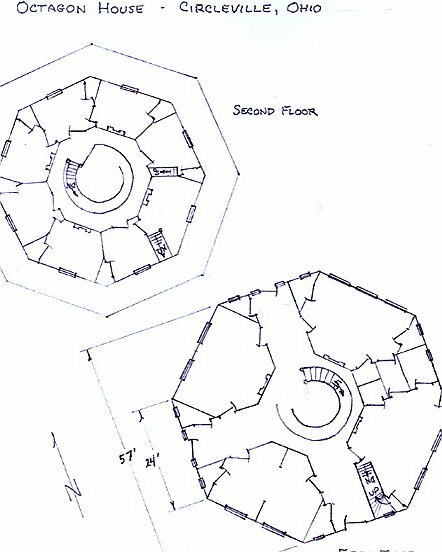 The octagon building shape was developed by Orson Squire Fowler who wrote the book, “A Home for All; or the Gravel Wall and Octagon Mode of Building.” He felt that the octagon shaped home was healthier. 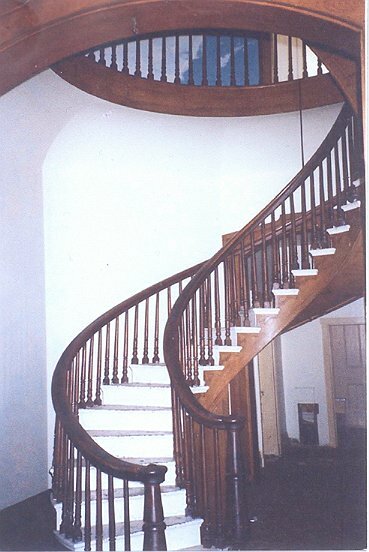 The Octagon in Circleville has a graceful floating spiral staircase which leads to an eight sided glass cupola from which Gregg could survey activities on his farm. Gregg died in 1914 and his wife in 1916. 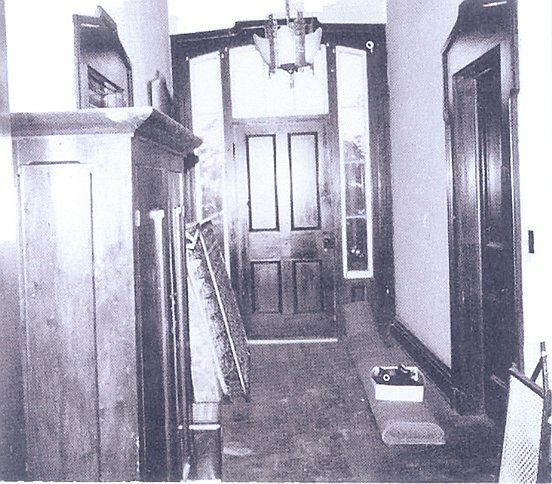 Around 1920 the farm and house was purchased by H.M. Crites. 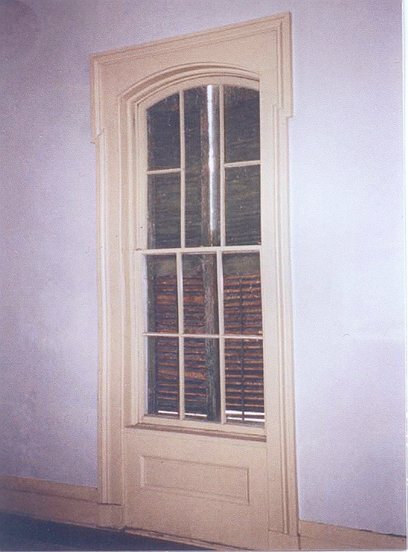 Although members of the Crites family were frequent visitors in the house, the family never lived there. 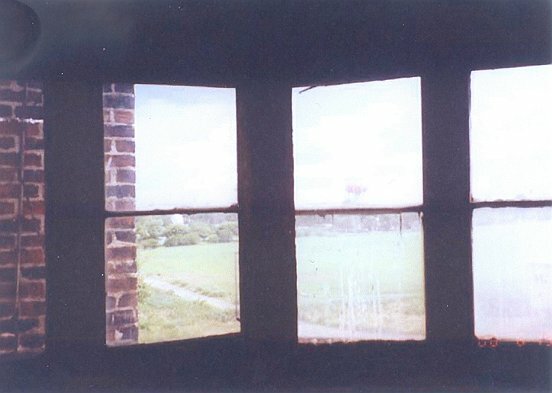 Instead the home was occupied by a series of tenant farmers. 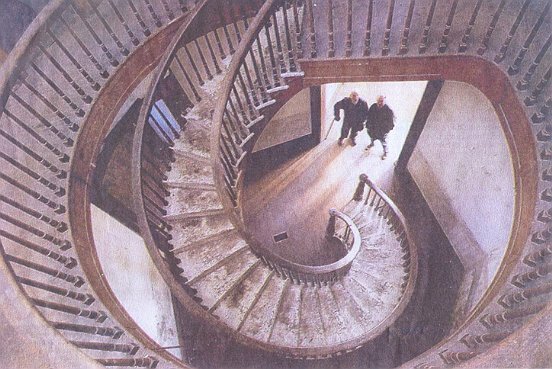 Many of these families, whose children and grandchildren, are grown, are still in the Circleville area and the many that come home for the annual Pumpkin Show, hold fond memories of their time in the house. 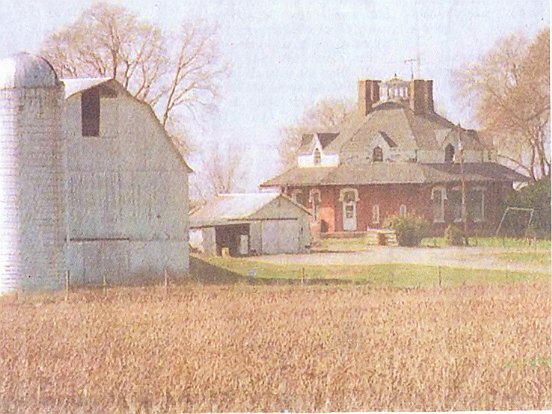 The last tenant farmer moved from the home in 1998 and in the year 2000, the Roundtown Conservancy discovered that the house was to be demolished to make way for a Super Wal-Mart. 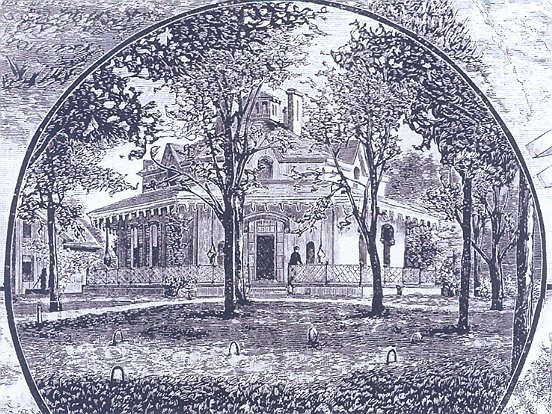 Because of the historic as well as the architectural value of the house, the Conservancy began an effort to rescue the house from the wrecking ball. After many challenges the Conservancy was granted the deed to the house and to 2 acres of land at the back of the farm on which to set the house. 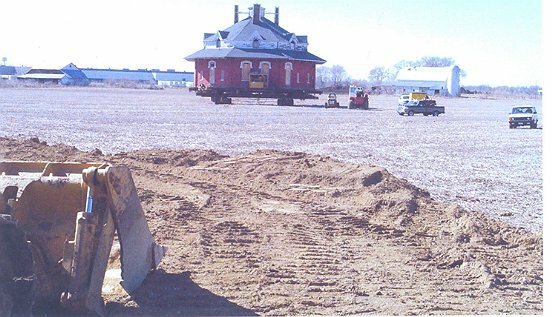 In order to be gifted with the house and the land, we had to move the house before they were to break ground which would definitely be by January of 2004. If the house not moved by then we were told that it would be demolished because a delay in ground breaking was not to be tolerated. We managed to get a reprieve until February 14th. Even though we were forced to move the house before the ground on our tract of land was ready and before any needed permits were obtained, move it we did. 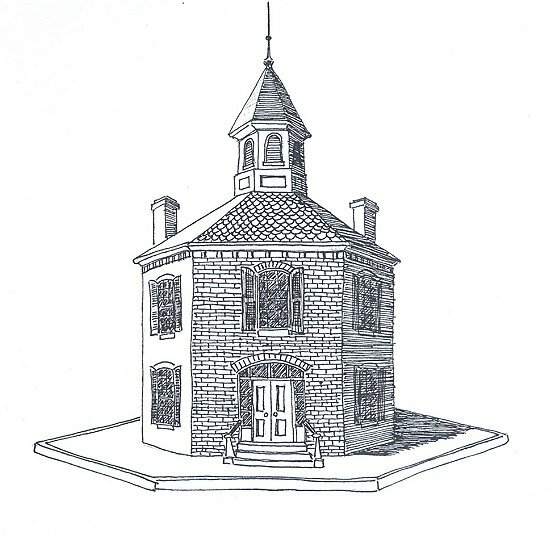 The Octagon rolled across the field, seemingly under its own power, for approximately one half of a mile. 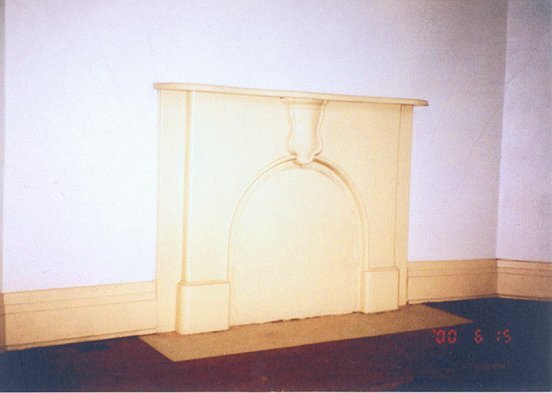 The first part of the move took parts of two days and the last part of its journey took about four months. 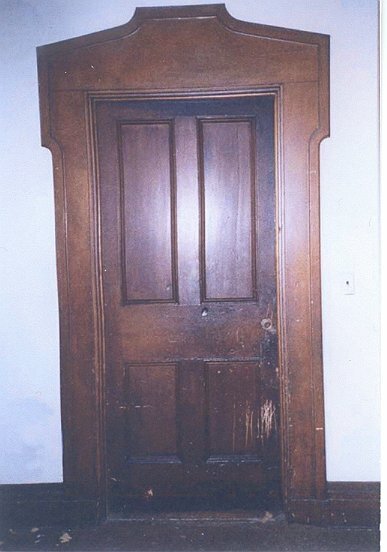 This was due to the need to dig a basement and obtain permits needed to place the house in its final resting place. 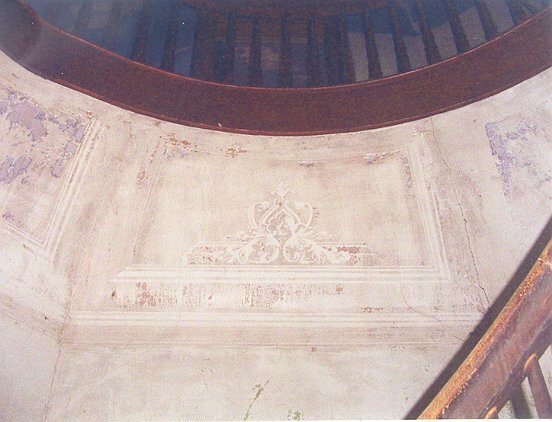 The house will be restored to its original state and the house and surrounding buildings will be used to promote local and architectural history and as a meeting space to rent out for conferences, weddings and other similar activities. 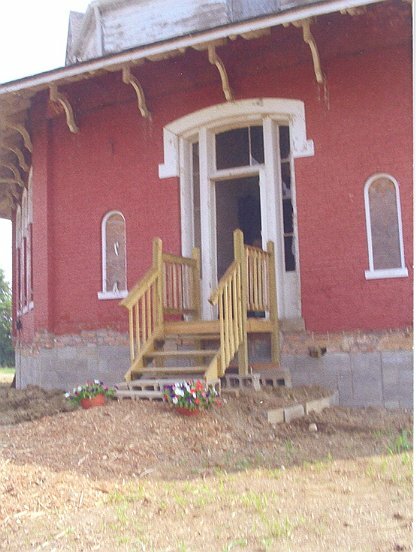 These activities will enable us to add to the quality of living in Pickaway County and also will allow an income to maintain the house and buildings. 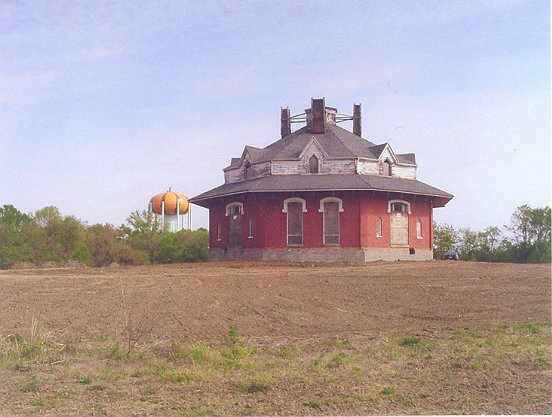 The efforts of the Roundtown Conservancy are designed to foster an understanding of who we are and what The Octagon is, and will be, and to increase our visibility, thereby, increasing interest in historic preservation. 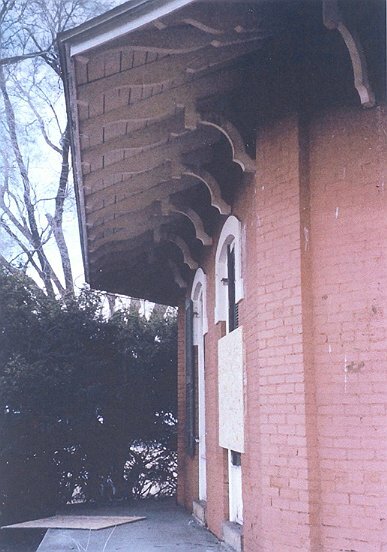 We, as an organization, feel that disposing of historic buildings in our community would detract from our identity and decrease our community’s quality of living as a result. 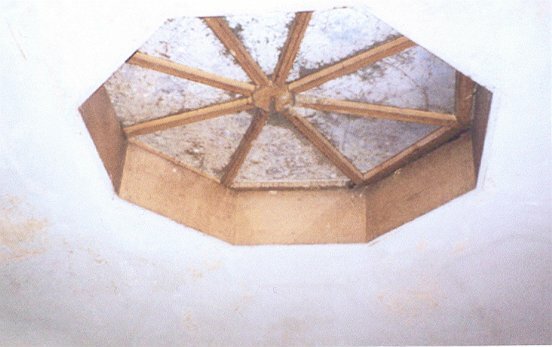 The Octagon is not real visible at this time. 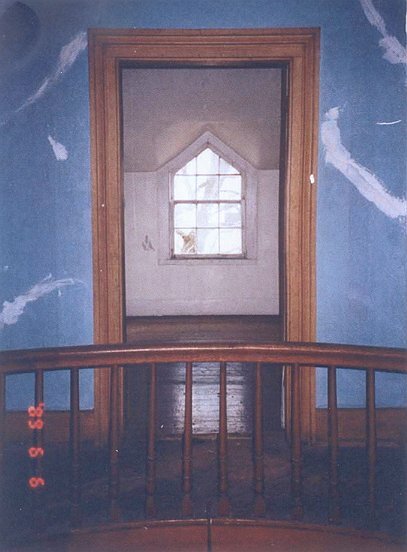 Many people still think that it was torn down, while others think that because it has been moved it is “saved”. The only way we can counteract these two thought processes is by making The Octagon visible and letting its needs be known.